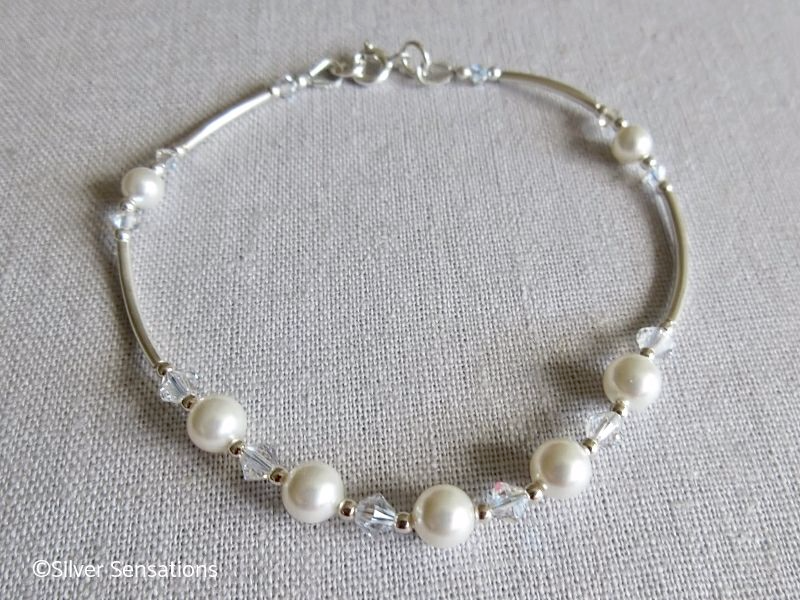 This pretty, designer handmade Bridal bracelet features White Swarovski Pearls which are 6mm & 5mm in size. 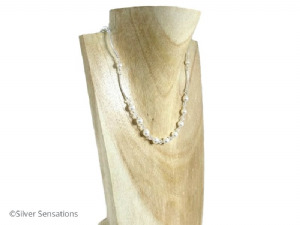 There are also stunning Swarovski Crystals which have more sparkle than clear crystals but less colour than the AB Rainbow ones. 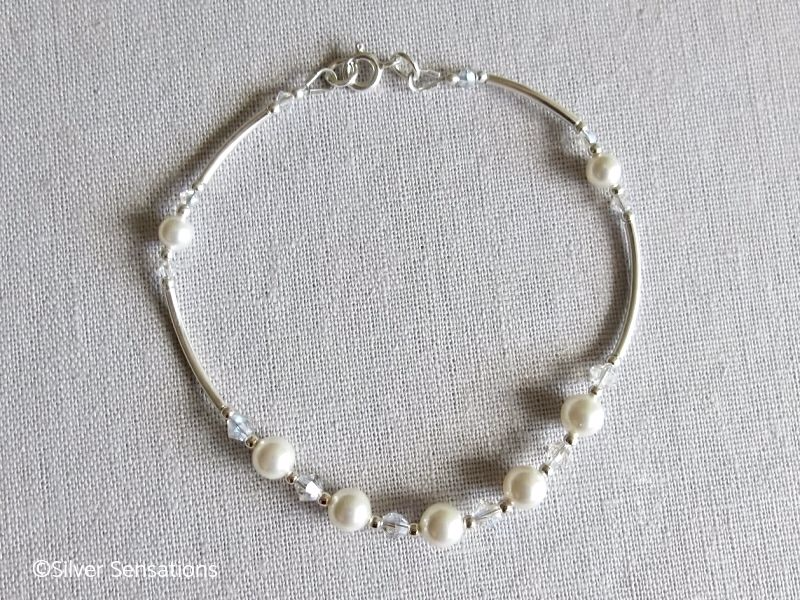 At either side of the Pearls & Crystals at the top of the bracelet are Sterling Silver curved tubes. 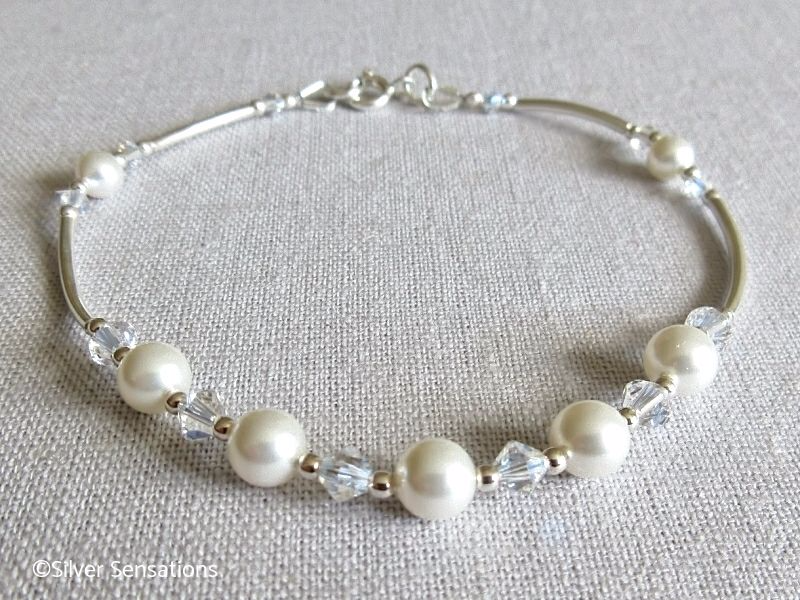 Finished with Sterling Silver seamless beads & a bolt ring clasp & fittings, this bracelet measures 8.25" in length. 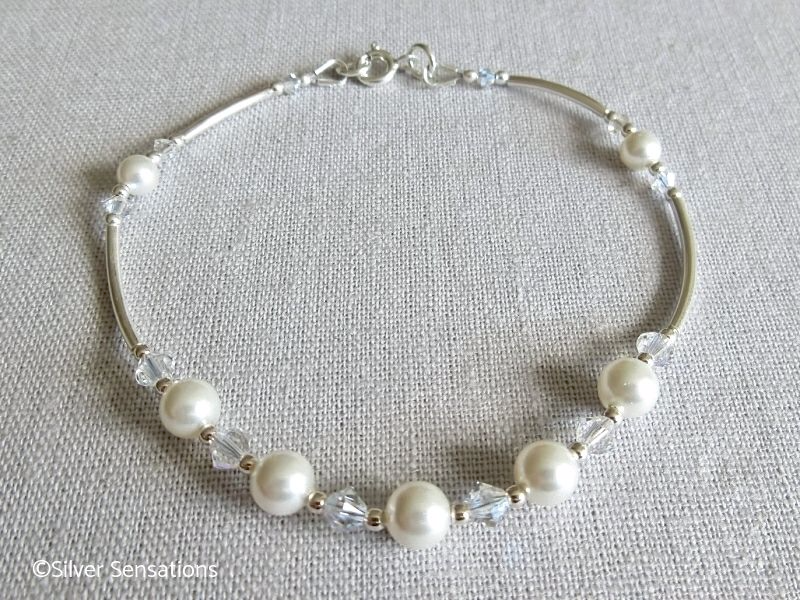 I buy all my genuine .925 Sterling Silver from reputable UK Silversmiths. 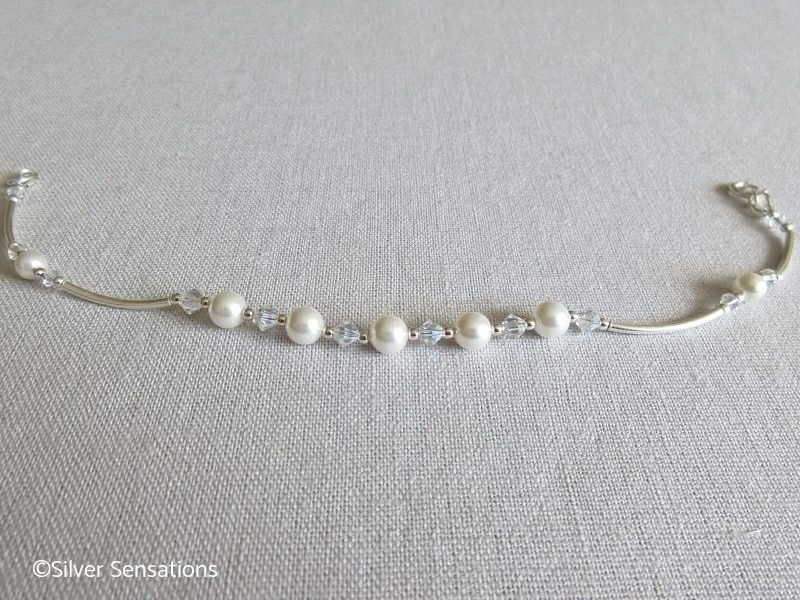 This is so I can be sure that I'm using only the highest quality materials for your piece of uniquely designed handmade jewellery.